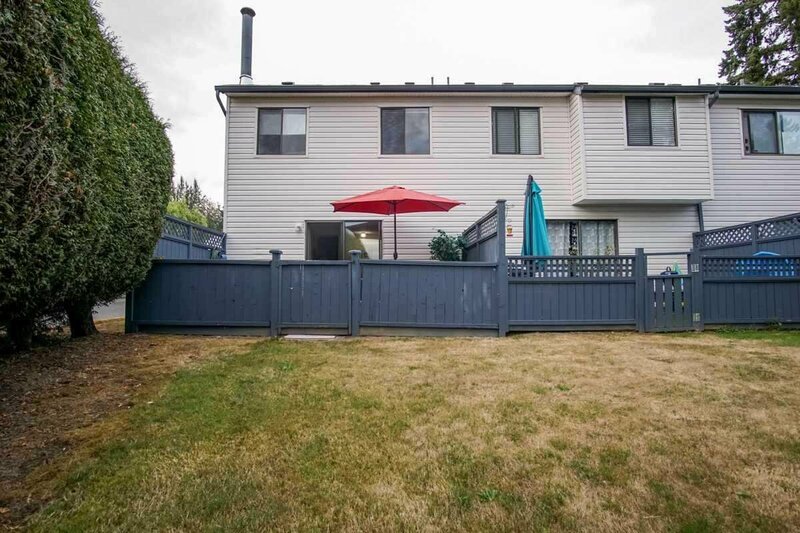 CORNER UNIT in the Popular Hyland Creek complex located in a quiet location. 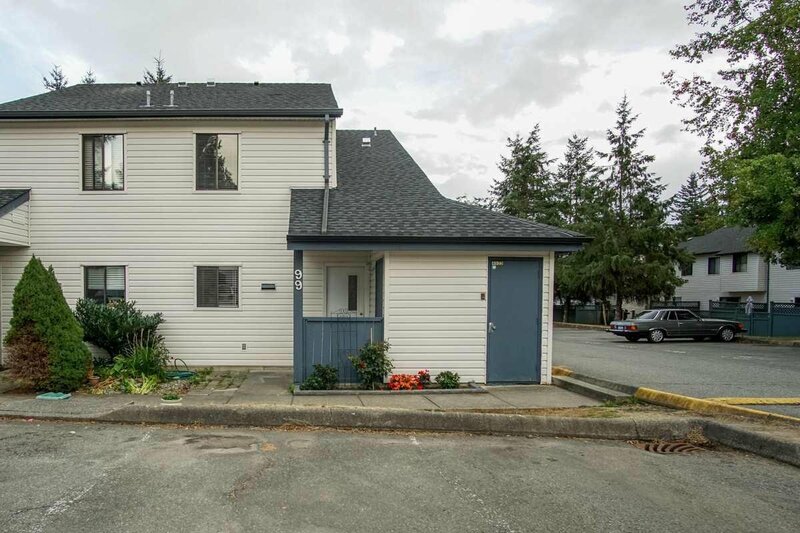 Offers 3 bedrooms, 1 Bath, in suite laundry and large living room that leads to a big open fenced patio. Amenities include OUTDOOR POOL, playground, Club House and parking for RV/boat. Recent Reno's include newer deck, ROOF, paint, Kitchen back splash & blinds. 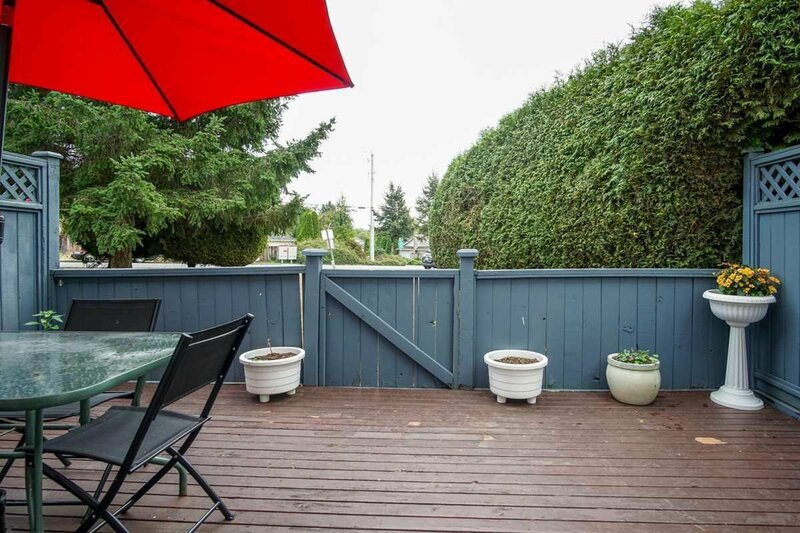 Backing onto a large open EAST facing GREEN SPACE & lots of parking off the street. LOW Strata fee of $179 covers gardening, insurance, exterior repairs, management & amenities. This complex allows rentals and pets. School Catchment is Hyland Elementary and Sullivan Heights Secondary. Close to shopping, bus, major trans routes, Newton Library & Recreation Center. Call your Realtor today for showing.